If you follow my blog then you’ll know that my Sigma 18-200mm zoom lens was laid to rest almost a year ago. It was a good lens that served me well over the years but all of a sudden the images that I was producing were soft. I brought the lens to Sigma and sure enough one of the rollers in the lens barrel had broken. Sigma replaced the roller but when I went to pick it up the representative at Sigma told me that there was an issue with the zoom barrel itself. My images would be ok but not 100%. Fixing the zoom barrel would cost as much as a new lens. I declined. It was then that I made the decision that the next piece of glass I would invest in would be of exceptional quality even if I had to wait a while to get it. I had just purchased the Canon 24-70mm f/2.8L but I still needed more reach. I rented the Canon 70-200mm f/2.8L a few times and I was in love. That lens was sharp and it was fast. The only problem with it (for me) was the weight. It was then that I started looking into the Canon 70-200mm f/4L IS USM lens. Here’s the beauty of asking for advice you can take it or you can leave it. Were my fellow photographers right? yes of course they were. The Canon 70-200mm f/2.8 is a fantastic lens. i know because I’ve used it but I also know myself and the same question kept nagging away at me. ‘Would I carry it around with me everyday while traveling?’ The answer wasn’t “no” but it wasn’t a resolute “yes” either. The process I went through in making my decision was to think about how, when, where and what I was going to shoot with it. Landscapes – When I’m shooting landscapes (or even cityscapes for that matter) I prefer to shoot at the edge of day (sunrise or sunset) which means that I would be using a tripod and would typically shoot at an f-stop of 8 or 11 to maximize my depth of field and sharpness. Night Photography/Long Exposures – Once again I know that if I was doing any type of night-time work or long exposures I would be using a tripod so the 2.8 wasn’t critical. Street Photography – Yes the extra stop would be beneficial depending on where I’m shooting and the conditions of the day. When weighing the pros and cons I have to take into consideration the image stabilization that the lens is equipped with. This will allow me to shoot with a slower shutter speed (about 3 – 4 steps slower) then I would normally hand-held. The difference in weight of the f/4, 1.67lbs versus the f/2.8 which weights in at 3.28lbs, is huge especially when around with all day. I’ve been using this lens for a couple of months now and it hasn’t disappointed. This baby is sharp! I’ve been very pleased with the imagines I’m producing. The autofocus is fast and silent. I put this lens through its paces shooting my dog in the park and the quality of the images (color and all) speak for themselves. I love the fact that the weight isn’t too cumbersome. As a matter of fact it’s lighter to carry around than my Canon 24-70mm f/2.8L which is my go to lens that lives on my DSLR. I wouldn’t hesitate packing this lens when going on a trip and as a matter of fact just did. I just got back from California where I spent a week exploring the coast and the 70-200 was a great addition to my kit. Honestly there’s really only one thing that bothers me about this piece of glass…the IS. Let me clarify that it’s the noise the IS makes when engaged. It’s loud. When I first attached the lens to my camera I thought that I had received a defective lens. I don’t know why the IS motor is so loud (in comparison with the autofocus which is so quiet) but I hope that Canon corrects this in its next reiteration of this lens. After travelling I realized that when you’re out shooting the streets you don’t even really hear the IS and when I’m set up on a tripod I turn it off anyway so really it’s not a big draw back and it certainly doesn’t take away from the quality of the lens. Overall I’m very pleased with my choice and I know that the 70-200 f/4L is going to serve me well over the years. The difference in price between the f/2.8L and the f/4L is approximately $1400 and for me that was a big consideration. Here’s another image shot with my Canon 7D and the 70-200mm f/4L USM lens. Click on the image to enlarge and see all the detail. 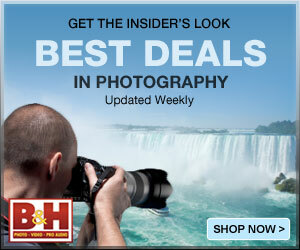 You can purchase this lens at B&H Photo. Click here to read more about this lens and reviews. Great review Edith! I don’t own any L glass YET for my 7D. I have my eye on the 24-70 but will probably rent a few different ones when I get some money. I love the shot of your dog! Beautiful! The 70-200mm f/2.8L is simply too expensive. 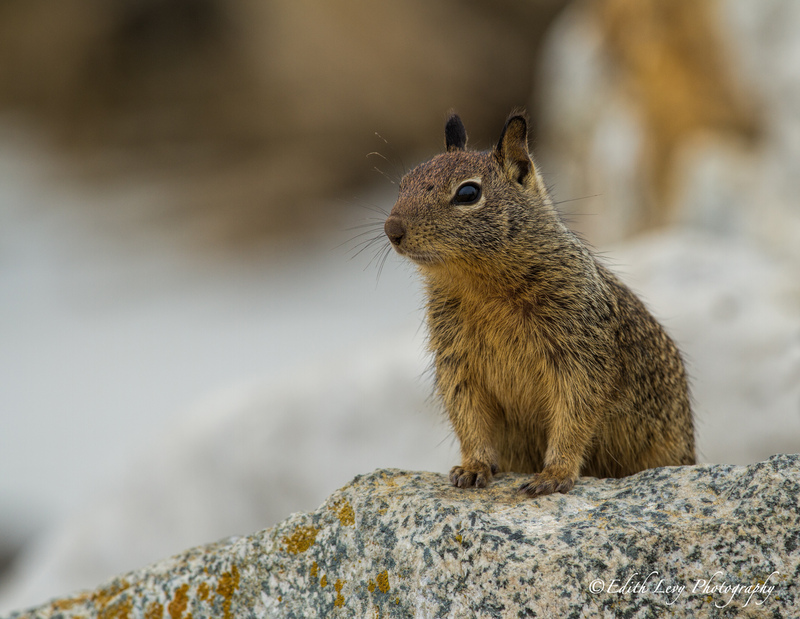 The sharpness of that squirrel is truly amazing … happy shooting with this new gadget! Walter thank you for your comment. I did consider going longer but realized that, for now, what I needed was the 70-200. I may add a longer lens later on, but we’ll see. I had a very tough time deciding between the 2.8 and the 4. I rented both first to try them out. I did love the 2.8. It’s an amazing lens. The f/4 surprised me when I rented it. The sharpness is unbelievable and it was much easier to carry around. I promised myself that when I was ready to buy new equipment I would buy quality even if it meant waiting while I saved the money for it. In the end, given what I’m shooting, the weight difference (I didn’t think my back could take hauling around the 2.8 all day) and the price difference the f/4 won out. It took me a long time to make that decision but I’m really happy with it. My advice rent the lenses first and try them out. I guessed your answer before I read the post. But I was curious all the same, and so I read it. And since you give advice and recommendations to others… and haven’t asked me for any, I won’t say what I think about it. But I’m very glad that you’re happy with what you bought. Thanks for your comment Shimon. I did speak to many photographers and got their advice. There were both pro and cons. I rented both the 2.8 and the f/4 and in the end based the decision on my needs. The 70-200mm f/4L is tact sharp and esay to carry around. I’m very happy with my decision and with the quality of the images it produces. I would be interested in your thoughts. I am at the very beginning stages of learning about photography. This is all very interesting and I look forward to reading your posts and learning more. I agree with Walter; the sharpness is amazing. Great pics! Thank you so much. I really appreciate your comments. 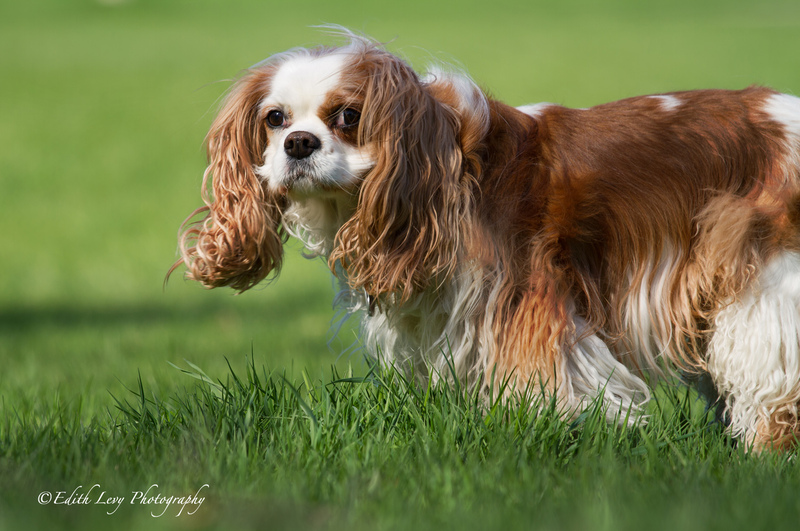 Edith – I have owned the Canon 70-200mm f/4L IS USM Lens for about 18 months and you are right, it is an excellent lens. I have some physical problems that cause my hands to shake (no fun for photographers! ), but I have found that I am often able to get exceptional shots with this lens “single-handed” handed so it quite light weight. I need IS to get any kind of acceptable shot if I am holding my camera so I had to compare the f/4L IS with the f/2.8 IS. The major factor in my decision between the two lenses was the cost. The Canon 70-200mm f/2.8L IS cost about $2500, while the 70-200mm f/4L IS USM is $1150. The f/2.8 without image stabilization is bout $1300 but I would virtually never get a photograph with it unless it was on a tripod and that was not acceptable. I have to admit there have been some low light nature photography situations where I have longed for the extra speed the additional $1350 would have bought me, but there haven’t been too many and photos I ended up with using the f/4L have turned out extremely well after processing. For people on a budget, I’d suggest looking at the Sigma 18-250mm f/3.5-6.3 DC Macro OS HSM, which I also own. Image quality is very good and it is remarkably compact, which makes it a great lens for everyday use. The list price is $549, but it is now widely available for $399. It is not in the same league as any of the Canon lenses but neither is the price. I have obtained very high quality photos with it, The DPReview of it from November 2012 is at: http://tinyurl.com/asf9hbp. Regards. Thanks so much for the comment Steven. Love the images you linked too. I definitely have to add an extender to my kit. f2.8 would be nice, but what a price. And weight. I may buy the f2.8. I want that extra speed. Thanks for a well written and informative review. Honestly you can’t go wrong. They’re both great lenses. some common issues, The site taste is ideal, the articles is in reality excellent : D.